Submissions are now being accepted for the Label Industry Global Awards. Open to individuals and companies operating in the narrow web industry, the 13th annual awards event will be held on 13 September as part of Labelexpo Americas 2016 in Rosemont, Chicago. Nominations are being sought for the illustrious R. Stanton Avery Lifetime Achievement Award, sponsored by Avery Dennison. This prestigious accolade will be presented to an individual who has made a weighty contribution to the industry and has worked in the label sector for a minimum of 25 years. The award recognizes the pioneering vision and values of Stan Avery and the winner will join fellow luminaries including: FINAT’s Kurt Walker, Suzanne Zaccone of GSI Technologies, RotoMetric’s Steve Lee, Neil McDonough of FLEXcon and its first-ever recipient, Mark Andy’s Dale Bunnell. The Award for Innovation, sponsored by Flint Group Narrow Web, will involve two separate accolades being be presented; one for companies with over 300 employees and one for organizations with less than 300 employees. Entries need to be for a specific innovation introduced during 2015 and can either be technology related or for a new business practice. 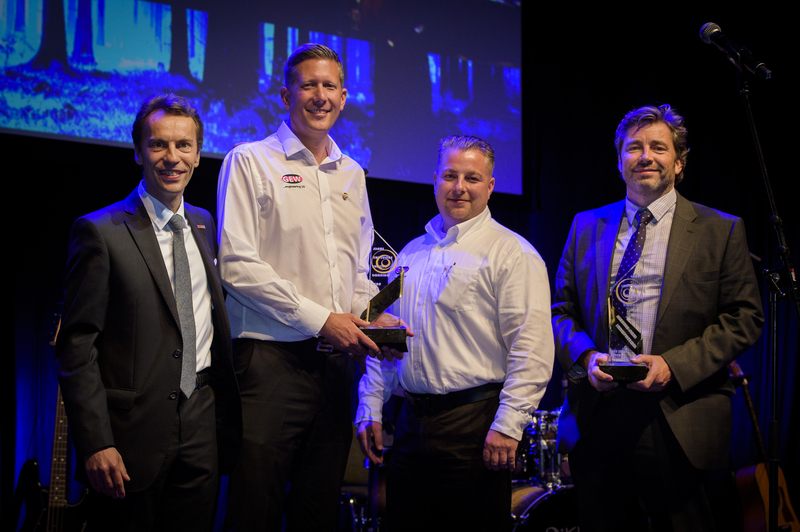 HP Indigo won the title last year for its HP SmartStream Mosaic software, while GEW and Lake Image Systems were joint recipients of the gong for companies with up to 300 employees. The Award for Sustainability is for a specific sustainable product or process introduced by a converter or supplier during 2015. Japan’s Lintec won the category in 2015 for developing a new label facestock which uses the world's highest percentage (80%) of recycled PET pellets. Any organization can enter these awards, subject to meeting the entry criteria. Entry is free and submissions must be received by Friday 27 May 2016. Short-listed finalists will be announced in June. Entries can be made online and full details are available at www.labelawards.com.